Dr. Wang Shuaibiao graduated from Henan Agricultural University with bachelor degree and Nanjing Agricultural University with master degree. After graduation, he worked at National Institute of Biological Sciences, Beijing as research assistant for one year. During that time he realized his interest is practical work instead of research work. So, he got a position in Enbale Agriculture Technology Consulting and work with Dr. Wayne Johnson for 2 years. He got trained by Dr. Wayne Johnson and practiced in China during that time. 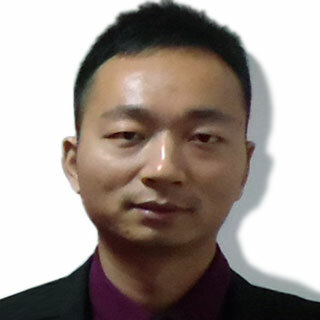 In 2016, he worked at Shanghai Jianong as Vet Manager and responsible for health management and training. He finished two cases of PRRS control and elimination in that year and gave a talk about this case at the Pre-conference of 5th Leman China Swine Conference in 2016. In 2017, he worked at Carthage&MHJ agritech consulting as Veterinarian & Project Manager. He was involved in 3 startup farm projects populated with 1200 sows, 5000 sows and 10000 sows respectively. Besides, he worked together with other experts form Italy, Denmark and Brazil to train several big groups in China on pig production to develop their work in Vietnam. Again, he summarized his experience about startup farms and gave the talk at the Pre-conference of 6th Leman China Swine Conference in 2017. In 2018, he and his partners founded DanAg International which focus on providing their customers practical and valuable solutions by consulting, training and farm management. Currently, he's working at DanAg International as Veterinarian and study at Royal Veterinary College, University of London as a postgraduate student in Livestock Health and Production programme.